That 217-member Twin Peaks cast list left fans scratching their heads at least 200 times over, but in the case of Eddie Vedder at least, the appearance is not without purpose. The Pearl Jam frontman will contribute an original song to the 2017 revival, and you can listen right now. Consequence of Sound reported Vedder premiering a live rendition of new song “Out of Sand” at the Ohana Music Festival this past weekend, months ahead of the song’s inclusion in the new Twin Peaks soundtrack. A recording of “Out of Sand” was also included among the Pearl Jam-themed package from Third Man Records’ Vault subscription series. 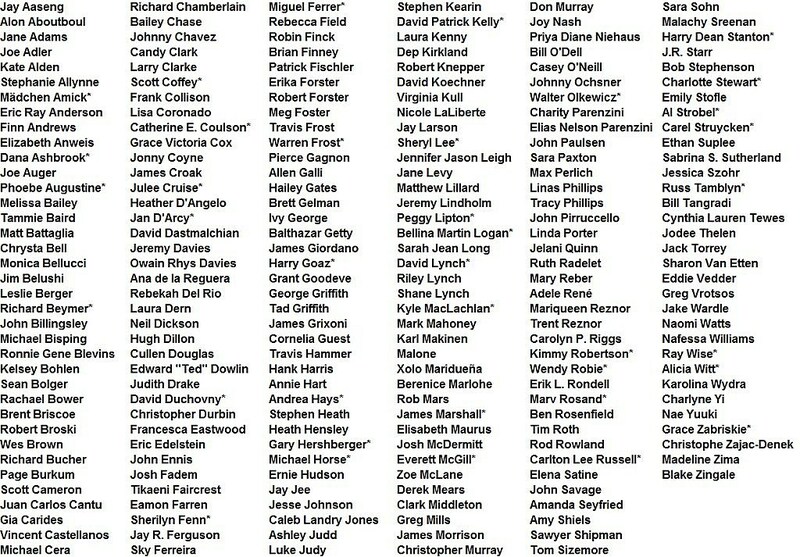 Twin Peaks composer Angelo Badalamenti’s return is also set, alongside stars Madchen Amick, Dana Ashbrook, Sheryl Lee, Michael Horse, Sherilyn Fenn, Miguel Ferrer, David Patrick Kelly, Richard Beymer and fellow new additions Ashley Judd, James Belushi, Naomi Watts, Tom Sizemore, Laura Dern, Jennifer Jason Leigh, Peter Sarsgaard, Robert Knepper, Amanda Seyfried and Balthazar Getty. Showtime may come forth with additional Twin Peaks details for 2017 soon, but who, what, where, why and when specifically should we hope for?